Gatorade has noble origins. The popular sports drink was concocted in a lab at the University of Florida in the mid-1960s – invented to help football players who were sweating out enormous amounts of weight in the Florida heat and humidity. Researchers found that players were also losing electrolytes through their sweat, which sapped their energy and disrupted their bodies’ chemical balance. Many had been hospitalized with heat-related illnesses, according to a historical account by the University of Florida. Gatorade, fortified with carbohydrates and electrolytes (potassium and sodium), worked like magic, keeping players hydrated and healthy, and enhancing their performance. Fast-forward a few decades. Gatorade and other sports drinks are heavily marketed and consumed by kids who aren’t exactly pushing the boundaries of physical endurance. The routine consumption of these sugary drinks concerns health experts like Lindsay Bailey, a dietitian at Akron Children’s Hospital. Lindsay answers questions to help further understanding about the role of sports drinks. What exactly are electrolytes, and do physically active kids need to replenish them? The term electrolyte is an ion that is electrically charged and moves to either a negative or positive electrode. Electrolytes are important because they are what your cells use to carry electrical impulses (such as nerve impulses, muscle contractions) across themselves and to other cells. The amount of sweat that is lost during exercise influences how much sodium and potassium are lost. The longer you exercise and the more heavily you sweat, the greater the need for a sports drink to help replace these lost micronutrients. Some physically active kids may need to replenish them. For most kids playing sports, will water do just fine? Ordinary water is the classic choice, as it is important to stay hydrated during exercise. Most experts agree that the length and intensity of the workout determine if a sports drink is needed. According to the American College of Sports Medicine, exercise lasting 60 minutes or longer may warrant a sports drink. What are the downsides of sports drinks? Are some better than others? Not all sports drinks are created equal. The tried and true Gatorade and Powerade will supply carbohydrates and electrolytes needed for athletes participating in 60 minutes or more of vigorous activity. G2 is a lower carbohydrate blend, and it may not have the necessary amount of carbohydrates needed if participating in 60 minutes or more of vigorous activity. It may be a good choice if a child has Type 1 diabetes and is managing blood sugar or perhaps is active but not for a 60-minute period. Powerade Zero contains electrolytes, but it does not supply carbohydrates. This may be an alternative to water that can service as a hydration method while also providing electrolytes. Some athletes have reported gastrointestinal upset with sports drinks. 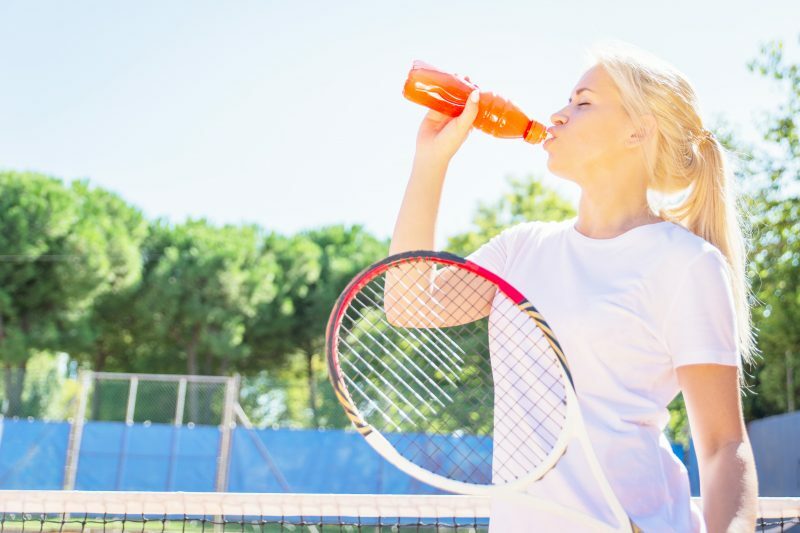 Research suggests that sports drinks offering a blend of carbohydrates, such as glucose and sucrose, rather than a single carbohydrate source may improve the amount of carbohydrate that eventually gets to the muscles as fuel. Sports drinks are not recommended for children who are not engaged in vigorous activity because the drinks contain sugar and calories. It’s best to stick to water. More information about sports drinks is available here and here.